Free Download Magic Tea Game or Get Full Unlimited Game Version! Immerse yourself in a stunning and addictive action-puzzler! Enjoy incredible first-person graphics as you pop chains of colored marbles! In order to get advantaged of playing Magic Tea full unlimiteg game version you must register the game. 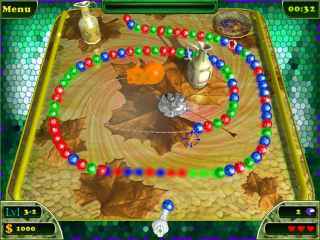 Magic Tea is a visually stunning and totally addictive action-puzzle game that challenges you to eliminate colored marbles as they roll across your screen! Accomplish this by shooting even more marbles at the long chains in an attempt to match three or more of the same color. You must eliminate all of the marbles before they reach the mouth of a hungry cat or tea time will be over! 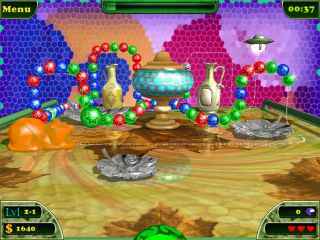 With more than 100 3D levels and tons of powerful bonuses, Magic Tea is a great way to spend the day! Totally Addictive Chain Popping Madness! More Than 100 Levels To Enjoy! 3 Unique Game Modes To Master! Features 50 board layouts and 9 tile sets. Check out the beautifully rendered backgrounds, stunning graphics, and ambient music. Embark on a thrilling adventure to help Albert restore the Key of Eiron and save his sister kidnapped by Sibelius, a wicked sorcerer! Explore a magical and mysterious atmosphere as you investigate the sudden disappearance of your sister from the Higher Academy of Arwindale. Once again trouble is brewing in the world of magic: A priceless treatise has gone missing and if it falls into the wrong hands, a demon that was banished long ago could be summoned from exile. Use your poker and solitaire skills against the clock to defeat your opponents in this modern card craze.